Pretty much everyone was disappointed that Valkyrie (Tessa Thompson), the Asgardian hero who played a major part in “Thor: Ragnarok,” not only didn’t appear in “Avengers: Infinity War” at all — but didn’t even warrant a mention at any point in the film’s hefty 150-minute running time. But we pretty much knew that Valkyrie would pop up in “Avengers: Endgame” next month after she flew with Chris Hemsworth to Atlanta for “Endgame” reshoots. That “pretty much knew” became “confirmed” Tuesday morning when “Avengers: Endgame” stars and various Marvel Cinematic Universe social media accounts posted a whole pile of character posters for the film — and Thompson posted the Valkyrie one on her Instagram. Interestingly, there’s a pattern to the character posters overall that reveals an important fact about Valkyrie. I’ll put a few of them below and you look at them and see if you can figure it out. If you haven’t guessed yet, I’ll save you the trouble — the character posters that feature people who died in “Infinity War,” whether because of Thanos’ snap or otherwise, are in black and white. And the posters featuring those who survived the movie are in color. And Valkyrie’s poster is in color! 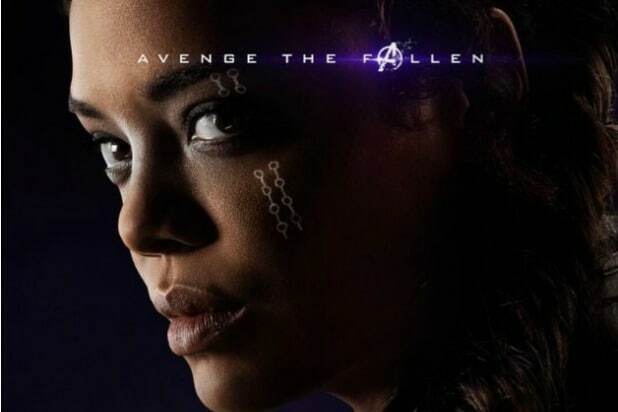 That means, ostensibly, that Valkyrie could very well play a key role in the early parts of “Endgame.” Hell, maybe she’s gonna be the one to rescue Tony and Nebula, who are marooned out in deep space. So while we don’t really know what happened with Valkyrie during “Infinity War,” it’s not too difficult to extrapolate. Thanos, when he and his Black Order captured the ship that the surviving Asgardians were on, only killed half of them — because that’s what they do, as Thor noted later on in the film. 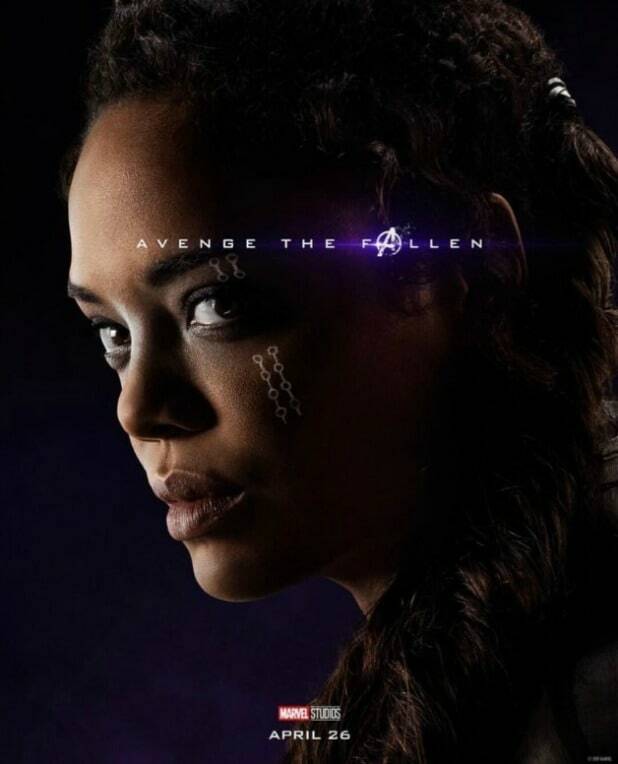 We don’t know what happened with the other half, but presumably Valkyrie was either with them or had left before Thanos’ Sanctuary II ship arrived, if we’re assuming this poster means she wasn’t killed.